Find Luggage at Target.com! Transport your belongings with style and ease in this 30 Rolling Duffel Bag from Rockland. It features a full-size, U-shaped zipper opening; zippered exterior pockets; a self-fabric grip handle with hook-and-loop closure; a comfort-grip handle; a removable, adjustable shoulder strap; heavy-duty polyester construction and large, inline-skate wheels for stable motion. Color: Black. Gender: Unisex. Age Group: Adult. Pattern: Solid. Here, you'll find 10 chic pieces of luggage that deserve to be in your next airport selfie. So read on to find one that fits your personal style. 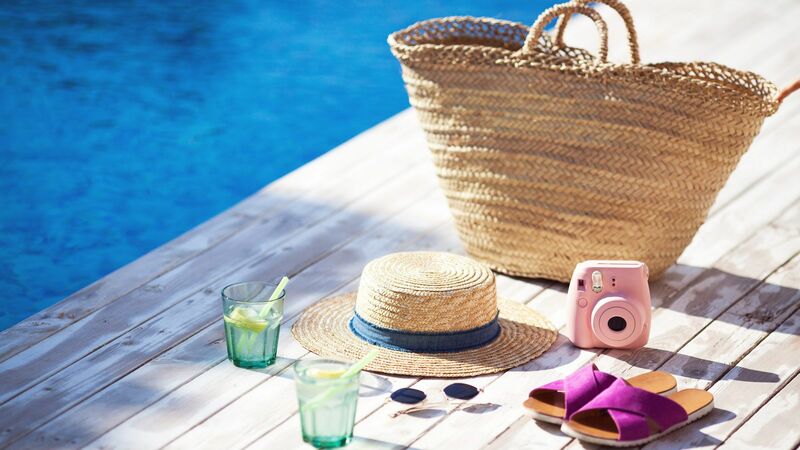 Shop the prettiest pool bags for summer. What should I pack? How should I pack? And how many items should I take? Don’t worry, we are here to help you make a few stylish decisions, with our list of 20 items to help you travel in style.